OK, technically, we have a few weeks until pitchers and catchers report and we get social-media images of green grass, blue skies—and lots and lots of players stretching. But, hey, especially for those who live in areas where the high temps last week started with a "-", we'll take whatever signs of sun and baseball we can get. And with the Super Bowl completed and another GOAT safely put away until next fall, the fantasy sports scene officially shifts into baseball mode. And we here at BaseballHQ.com are prepared to usher in 2019 and set you on the path to a fantasy baseball championship. Truth is, we’ve been working all fall and winter, pretty much since the last pitch of the 2018 MLB season, with our eyes on 2019. Our 2019 Baseball Forecaster previews the 2019 season on a player-by player basis, along with tons of essays, research, and tools to prepare you for this season. The just-released 2019 Minor League Baseball Analyst, which continues to put forth hefty growth numbers, is quickly becoming the standard resource for all things on fantasy prospects. With 1000+ profiles of rookie-eligible players, the book scratches the rookie-knowledge itch for those owners seeking help in this season and for those in dynasty leagues looking for long-term guidance. And of course, right here at BaseballHQ.com, we have covered the implications of (still developing) winter player movement, published research on a variety of topics, and a ton more. What follows is a quick rundown of what’s in store for BaseballHQ.com subscribers from now until Opening Day. We don’t have to tell you that the weeks leading up to your fantasy draft is a critical time, when preparation is king. Our goal is to serve up the most relevant information and tools to assist you in drafting the best fantasy team possible. Wouldn’t that get the summer off to a good start? If you’ve never been here before, what you read below is an outline of the breadth of our preseason content. If you’re a current subscriber, think of it as a road map through this Jan—March window: the purpose and frequency of the individual columns, as well as how BHQ information can help you navigate the player pool. Our intention: to put you in a great position heading into your draft. A 2019 Championship is the prize, and it all starts here. Take charge of your league in 2019 with a BaseballHQ.com subscription that unlocks articles like these all season long. Winning. Fantasy baseball. Insight. PT TODAY (or PLAYING TIME TODAY) serves as our newsfeed, where BHQ analysts translate what MLB transactions and team news mean for fantasy owners. It’s NOT a breaking news service, but a second-level analysis of “why” and “how” the news affects MLB playing time—one of the most crucial pieces of projecting player performance. Our analysts examine the players affected, and provide an update on how that news might affect a player's AB or IP, and thus their expected performance, given what we know about a player’s underlying skill set. Your daily dose of what's happened. Schedule: Items are collected into PT TODAY columns about once a week right now (especially with the slow pace of free agency). As news picks up, camps open, and spring training games get started, PT TODAY will become more frequent and likely be an every-day feature by early March. While PT TODAY spins the past, PT TOMORROW looks to the future. With one column per MLB division, PT TOMORROW takes a broader view of each MLB roster and tries to extrapolate what could happen before it does, so that your fantasy squad can take preemptive steps instead of reacting with the masses. So questions like "Who's the backup closer? ", "How would Swingman Y perform in the rotation if Starter X's minor elbow pain persists? 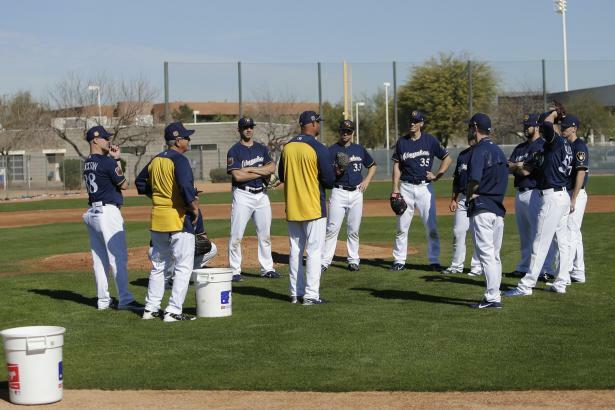 ", and "Can we trust the manager's assertion that LF is an open competition?" are customary. It's some of our best work on the site; a result of our writers' commitment to knowing individual team situations, and applying BHQ tools and metrics to project the future so that subscribers can glean hidden fantasy value. Schedule: Two times a week for the next three weeks; six days per week (one division per day, Monday through Saturday) starting February 18. FACTS & FLUKES is the robust kernel of performance analysis at BaseballHQ.com. It’s where our analysts take the long view of a player's skill set, including a host of factors such as age and historical trends, and attempt to answer one basic question: Is the player's current statistical performance sustainable? During the offseason, this target is no longer moving, as we have complete years of data to compare. Using traditional stats as well as BHQ and other established metrics, Facts & Flukes examines the whole player pool—from the aging veteran to the prime slugger to the rookie fireballer—in five-player chunks. Each analysis ends with some implication of what to expect from the player from this point forward. Which—let's face it—is what really matters. Schedule: Five columns per week. Appears Monday through Friday until February 18, then Friday through Tuesday for the rest of the season. BUYERS GUIDES are the place to look for hidden value from a contextual perspective. Three separate weekly columns—on Starters, Relievers, and Batters—examine the player pool, looking for impending breakouts on a skill-based level. Here, player performance analysis happens over a shorter term than Facts & Flukes, but reading the skills for a key of upcoming season performance is the goal. So you might get a quick-hit list of starters who saw an increase in strikeout rate over the 2H of 2018. Or setup relievers who have the skills to handle the closer role. These are must-read columns as you prepare for your draft. Schedule: Three columns per week, starting February 16: Starters on Saturdays, Relievers on Sundays, Batters on Mondays. MARKET PULSE is where BHQ subscribers get to see their potential profit pockets, position-by-position (say five times fast). The premise is simple: to compare current Average Draft Position (ADP) from the National Fantasy Baseball Championship to our BaseballHQ.com rankings. And who doesn't want to go into their draft knowing that the traditional wisdom values Yoan Moncada as an 11th-rounder, while BHQ sets his value in the 16th? One of our most practical columns this time of year. Schedule: Market Pulse started in January, and runs weekly throughout the pre-season. Its popular All-Value Team will publish on March 15, followed by the All-Avoid Team on March 22. SPECULATOR is our contrarian column, "designed solely to open readers' eyes to possibilities they may not have previously entertained, and in doing so, provide a different perspective on the future," as the disclaimer reads each week. Though the assertions are founded on some element of fact, these are our "20% percentage plays," and an excellent reminder of the importance of the process over results in player evaluation. You want some sleepers/longshots? Speculator brings ‘em in droves. Schedule: Weekly columns began on January 23, and will run each Wednesday throughout the preseason. RESEARCH is where our heavy-duty number-crunching lives. When you want to dig deep into player evaluation, correlations, the best draft rating tool, all told with fancy graphics and charts, this is the place. But non-math geeks, have no fear: Our writers go out of their way to present these topics in a clear and accessible manner, and they always include actionable conclusions that you can use. Sample: Given the distinct advantage this column gives BHQ subscribers, we rarely make these free. But recent titles include: “Openers—What we know after season one” and “Are plate discipline metrics useful?" ORGANIZATION REPORTS is where our minor league analysts examine each MLB club, ranking and reporting on the top 15 fantasy prospects. While the Org Reports are fascinating reading during the winter months, they also are an invaluable resource throughout the season—for mid-season call-ups and trade discussions, especially. Those in dynasty and keeper leagues will especially find these reports essential as they build their squads for the future. Schedule: The Org Reports began in late November and were published through mid-January. PROSPECT LISTS/COMMENTARY slices the prospect coverage a different way, from presenting the top 100 prospects in baseball (HQ100) to our positional prospect rankings, with both the 2019 season and the long term in mind. Want to explore the rookie second base crop in 2019? Or need to have one of the top three starting pitchers in the minors as a future rotation cornerstone? These columns will give you that edge. Schedule: The HQ100 was released in mid-January; then four days of an HQ100 Roundtable, in which the list-makers discussed various players and thoughts in compiling their own Top 100 lists. The by-position prospect reports started in January and positions covered coordinate with Market Pulse (above). They both continue weekly, on Mondays, until February 18, when they switch to Sundays until March 10. Sample: Our look at the TOP CATCHER PROSPECTS article from January. KEEPERS is a column devoted to finding the best long-term values for those who play in leagues that retain players from season to season. The goal: Identify the emerging young players, both at the minor and major league level, who will be an asset to your fantasy team a few years from now. It serves as a weekly thinkpiece for ways to improve your team's standing by looking at least a year in advance, and its current "Building Blocks" series gives out recommendations of young players at a different position each week. Schedule: The weekly column started in December, and will continue through mid-March. STRATEGY articles rotate through the many different specific game formats—Rotisserie, Head to Head, Scoresheet and Simulations, NFBC—and strive to give game-specific advice tailored to that format. While specific players may be mentioned, in these columns the players serve as examples of how to employ a strategic edge. Game theory, auction dynamics, and the many different draft philosophies and strategies will be examined with the goal of giving you another edge in addition to player performance. Schedule: Periodic through the December and January, these pieces will appear several times per week beginning February 20 through Opening Day. Whew. And that’s just the formal articles, and doesn't mention things like the award-winning BaseballHQ Radio, which just made its 2019 debut this weekend. BaseballHQ.com’s exclusive projections and extensive, flexible toolset provide infinite ways to slice and dice the numbers as you prepare for your fantasy drafts. PlayerLink is our massive player database, where you can search a player’s BHQ essay and stat archive, dig into his splits, view his historical stats and 2019 projection, and more. The Custom Draft Guide (CDG) is an interactive draft tool powered by BHQ projections. Plug in and save multiple league formats, and CDG will provide you with customized cheat sheets using our projections. All of these are updated daily to reflect the constant shifting of playing time on each MLB club, so that you know you have all of the most recent information to take with you into your drafts. Plus, BHQ's First Pitch Forums series of live and on-line events this spring provide a unique opportunity to go one-on-one with BaseballHQ and other industry analysts. And this year, you're invited to help us shape the content by filling out a quick survey throhghb February 6. See this page for more details. At BaseballHQ.com, we couldn’t be more excited about what we have in store for subscribers (including a few surprises) in the 2019 preseason. We hope to provide all the fantasy baseball information you need in your quest to end the season at the top of the standings come October 1, 2019. Visit our subscription page for all the details on how to become a part.